Wendy off the rock... : Who would you invite to your dream dinner party? 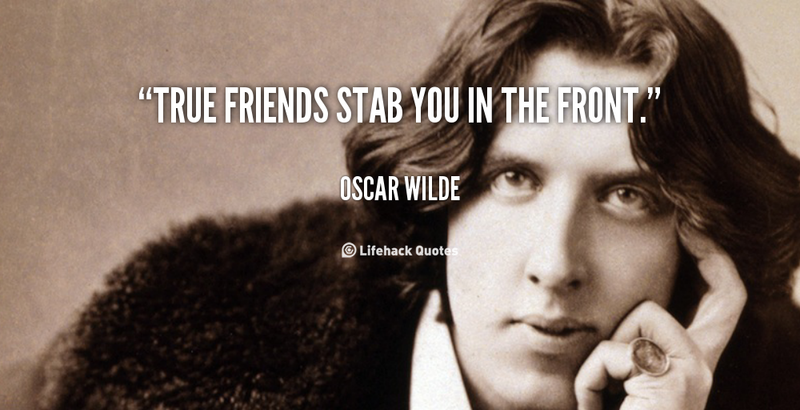 Oscar Wilde would definitely be invited to my dream dinner party. He could fill the evening with witty and shocking stories, mostly true tales of debauchery and academia. Utterly delicious. And I think I might seat him between Woody Allen and Katherine Hepburn to ensure there’s plenty of zing—sexual tension, smouldering innuendo and unfettered eccentricity with lashings of fine wine. Right across from the three of them I’d seat my dearest long-time friends John and Jenny. I know they’d have fun. There’d be laughter and plentiful mutual admiration. John would both shock and fascinate Oscar with his award-winning body-building physique, his incredibly well-crafted Mardi Gras costumes, and his erudite knowledge of all things artistic and stylish. He’d probably intimidate Woody, but let’s face it. Who wouldn’t? Jen would have Katherine’s head tipped sideways in rapt admiration as she chatted about sea-kayaking off the coast of Patagonia, having her beloved dog’s ashes compressed into a diamond, and existing in the twin worlds of conventional medicine and naturopathy. Katherine would adore her. I know she would. And Woody might just find the inspiration for his next movie. 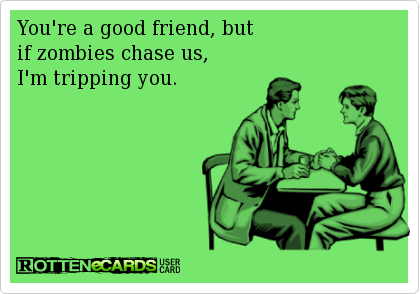 Some friendships are like that, aren’t they? We three have known each other for more than forty years. At various times, each of us has lived away from Australia for extended periods. But it has never mattered. As things stand now, we are still separated by thousands of kilometres. But that doesn’t matter either. Whenever we are together, Distance and Time dissolve in the laughter and champagne bubbles. Other people have claimed we have the sort of friendship that even if we see each other but rarely can just be picked up wherever we left off. Some would probably continue to assert it even today. But they’d be mistaken. Or kidding themselves. Because for them, unseen is the same as invisible. Our friendship amounts to little more than a sort of comfortable habit that can be broken. Their warmth is just air kissing. I’d never invite them to my dream dinner party. But I probably wouldn't want them to be eaten by zombies either. I'd have Woody and Oscar too. Woody would probably feel a little one-up because he's still alive although I can't imagine it would unnerve OW one bit. I'd also have Paul McCartney, Gerard Durrell, Jessica Mitford, Jorj, Hec and Frida Kahlo. Odd numbers are apparently auspicious. Well it wouldn't be Woody Allen cause he creeps me out, but I think TS Eliot, William Blake and William Butler Yeats. Then I would just sit there sipping my wine and listening to them recite ALL my favourite poems. Oh, and Coleridge too,, definitely Coleridge. I would like to have Stephen Fry for his wit and sarcasm (much like Oscar Wilde really) and Henry VIII as well. I would like to find out what type of person he really was! For some glamour I would love to have Marilyn Monroe, so beautiful, yet so damaged, I would like to find out what really happened there as well. Was she bumped off? I think so. I bet Henry has appalling table manners! I'm very touched Wendy. And the feelings are mutual. I've long thought that there are friends in life, both close and not so close where constant intimate contact is not necessary and the friendship can be picked up from long lapses. OK, I'm pretty lax in that area but it's nice to know that you feel this too. And Facebook helps. Welcome and thanks for dropping by The Rock. You never know what you might find going on down here.